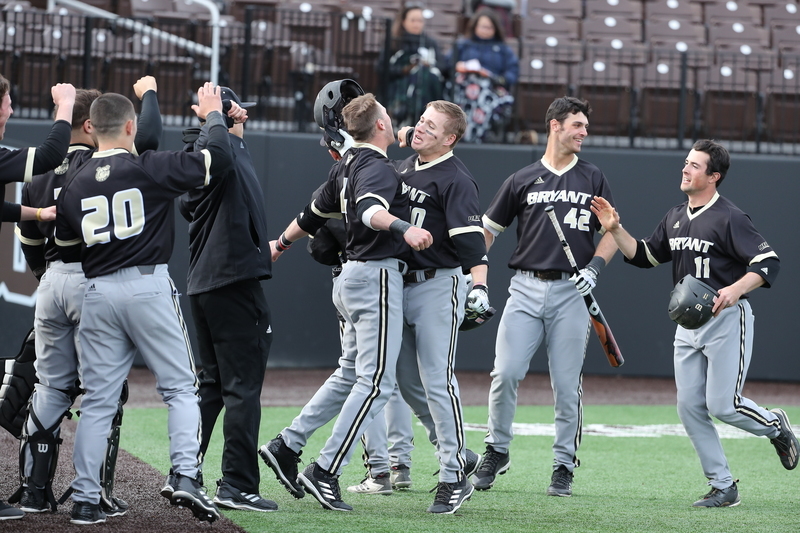 Bryant University's Baseball program has been working hard to stay at the top of their performance. The team has been nationally recognized for academic achievement as well as their top performance. We are proud of the unique combination of high level athletics combined with rigorous academics. This success is made possible by the support of our alumni, parents and friends, and we are counting on your for your support as we kick of the 2019 season. A gift of any size will fund travel to play power five conference opponents, recruit the best players in the country and provide our student-athletes with the means necessary to remain the top team in the region. In the current world of collegiate athletics, we must continue to grow every aspect of our program each year or risk losing the competitive edge that we have all worked so hard to achieve. Thank you for your continued support of Bryant Baseball, we hope to see you at a game this season!